Looking for inspiration for your next getaway? The new Virtuoso Ideas Book showcases what’s trending in travel today: You’ll find horseback rides and family cooking classes, countryside spa retreats and multicourse tasting menus at sea. 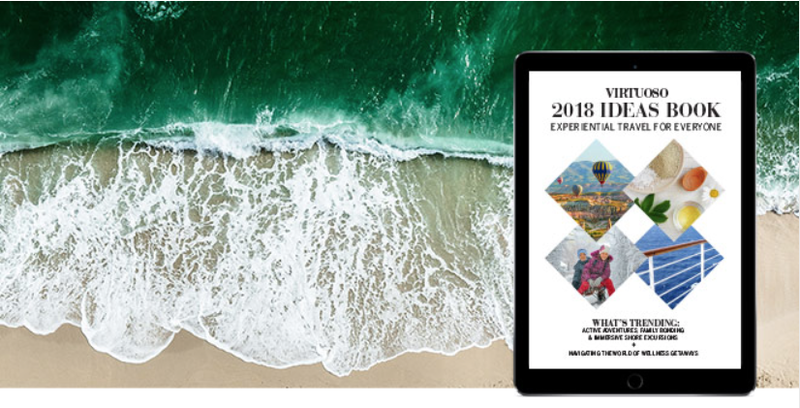 No matter your interest – whether it’s wellness, adventure, family travel, or cruising – the hotels, destinations, cruise lines, and tour operators on these pages can work with your travel advisor to craft a great itinerary. Flip through for ideas, then turn your travel passion into a plan.